The Metcalfe family hosted their first Koojan Hills Angus bull sale on 20th February, which attracted a big crowd and featured an $18,000 top price. The Metcalfes offered 64 Angus bulls at their on-property sale at Manypeaks and sold 58 under the hammer at an average of $9914. At the auction proceedings, seating was at a capacity with 70 registered buyers all interested in how the new venue would continue the Koojan Hills tradition first started by former stud principal Lew Smit. 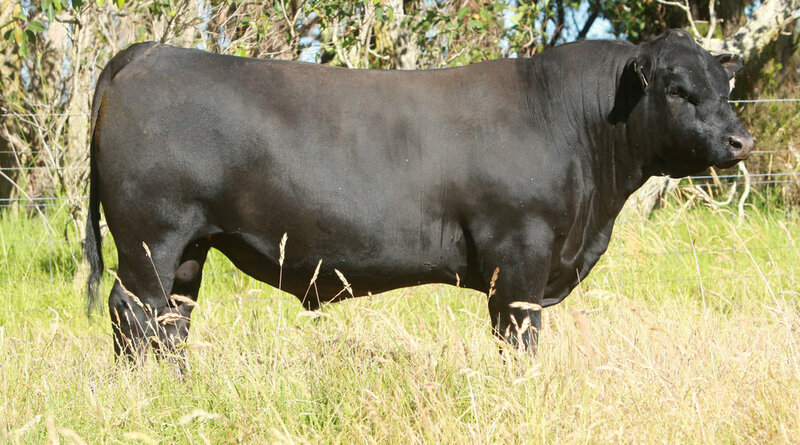 Mr Smit said the Metcalfe family presented the Angus bulls extremely well. "A feature was that the bulls had excellent temperament," he said. Koojan Hills new stud co-principal Richard Metcalfe told the crowd that it was a five-minute decision to purchase the entire Angus stud from Mr Smit and he was thankful to all parties for the smooth transition of ownership with his sons Tim and Chris. Bidding got off to a very competitive pace with Plain Grazing, of Gingin, Securing Lot 2 for $17,000. Further into the catalogue, Lot 28 presented very well and the Koojan Hills Admiral G182 sired bull sold to the Blyth family, of Manypeaks, for the $18,000 top-price. The consistency of pricing throughout the sale was a feature, prehaps reflecting the consistency of the catalogue. After the sale Mr Metcalfe said it was a pleasing result. "It was rewarding to see some long-term Koojan Hills clients still supporting the Koojan Hills cattle, he said. "It was also good to see local buyers making their first purchases of Koojan Hills cattle and a number of bulls from the sale went to our friends and neighbours in this area."